PPC services in Mumbai – We are experts in Maximising your ROI by well planned and well managed SEM (Search Engine Marketing). 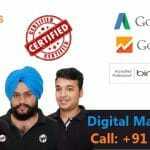 So if you are looking for best PPC Company in Mumbai which could provide you good result and help your business expand, then you are at right place. WebHopers is here to help you out. Our Pay-Per-Click services has strong motive of providing you result in your less money investment. 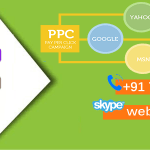 Call 7696228822 or Skype – WEBHOPERS for best PPC Advertising Services in Mumbai through Google AdWords & Bing Ads. WebHopers is now providing its services in Mumbai, we are experts in Google Adwords, Bing Ads. We will do continuous optimizations with our dedicated team who implements every strategy perfectly. WebHopers will always make it sure that you always get the most out of your budget. We deliver what we say! Our team believe in complete transparency in our work that is why we are trusted by our clients. We are having clients not only from India but from abroad as well. Why your Business in Mumbai needs PPC services? ‘City that never sleeps’ this is what people call it. This economic capital is the home of many dreamers. The completion is very high in Mumbai if you want to survive you need to be the best and known by the people. Through PPC service you can become the popular and get the large customers. With the digitalisation people are relying more on internet for everything they search for the best online. What if your business website appear on the top in search result? This will bring you more customers and build your brand value. According to the old saying for branding you have to make presence in every possible marketing channel. As Mumbai is one of the top city of India, branding helps you in providing long term business benefits. But in modern time of internet everyone is looking for services online. So you have to implement online marketing techniques in order to get potential customers. When it comes to get instant response through online marketing then PPC company in Mumbai gonna help you. This is the main reason that you need to implement pay per click advertising services in your Mumbai based business. We work in a well planned way include research, planning and execution. We provide the best PPC service in Mumbai. Pay-Per-click is a module of online marketing, which provide instant traffic to your website and advertiser has to pay for the clicks made on his site. This is fastest way to get the ROI if done properly in well managed way otherwise it is just a waste of time and money. Campaign Auditing: This includes the early research about the your competitors. We will audit your current campaign by examine your quality score, rates, cost per click acquisition and many other things. After that we highlight the areas which are needed to be improved. Campaign Building: This stage of campaign requires the proper analysis of keywords and ads. By analyzing this we need to understand how effective the campaign should be, deciding our target audience & how profitable the campaign should be etc. The good optimization of keywords and Ad will rise the CTR and generate more traffic to your website. Bid Management: We will monitor the campaign through all stages. We will make sure that you won’t overspend for a single keyword. We do not want you to spend unnecessary by over bidding for a keyword. Tracking and Testing: We will make your every single penny count by keeping an eye on the results and on whole campaign. We will work properly on your landing page, we will keep proper check on your ad campaign. India’s Most Recommended Digital Marketing Startup Company is now serving in Mumbai. After successful response from clients WebHopers team increases their wings. We have a dream that you can get best PPC services for businesses in Mumbai and get full value of online marketing. Mumbai is the economic capital of the nation, where many industries are competing with each other in order to be better than others. This city of dreams is very competitive and daily number of people comes to this city in search of work. If you are having a business in Mumbai and you are looking for a good and genuine platform which could help you with its growth than having PPC service is the best option you have. Talking about the best? Do not miss WebHopers we are the best PPC service providers in Mumbai. How we are better from rest? Best in targeting the Negative keywords according to the business with which you can filter PPC campaigns and generate more ROI in less budget. Our team of experts are rich in experience. Our PPC team is AdWords and Bing Certified. We also Uses business goals to customize the pay per click advertisement campaigns on Bing and Google AdWords. We also have proven track record of good results and achievements.